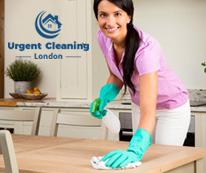 Searching for professional end of tenancy cleaning in North West London? We are the cleaning company you should contact. Our highly motivated representatives operate in this field for a long time already and they have helped hundreds of tenants to move out on good terms with their landlords. Just give us a call and we will send a couple of them to your rented property. Our company was established several years ago and ever since then we have been working hard to attend the needs of our customers. We are proud to say that our services are suitable for every taste. We are able not only to ensure you a worry-free moving out but also to help you prepare your property for the new tenants. What we have for you is a team of disciplined and trustworthy cleaning experts ready for action 7 days per week. Have no doubts in their abilities because they are thoroughly trained and supplied with the most efficient cleaning tools and top-quality detergents. Our comprehensive operatives know very well that inventory clerks often search for dirt in various places and they will make sure that every room of your property is cleaned precisely. Choose our company and we will make sure that you keep the full amount of the deposit at the end of your tenancy. Our dedicated cleaners will not meet the requirements of your landlord, they will exceed them. The service that we offer you is guaranteed, which means that if a problem occurs within 48 hours upon completion of the cleaning, we will come back and take care of the specific areas free of charge. Our company can help you with the final cleaning of your leased property everywhere in North West London.